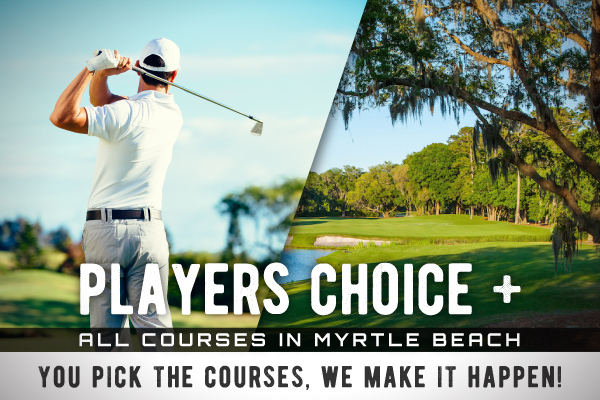 Myrtle Beach Golf Central invites you to browse all of the Grand Strand's Golf Courses that have helped to make us become known as the Golf Capital of the World! 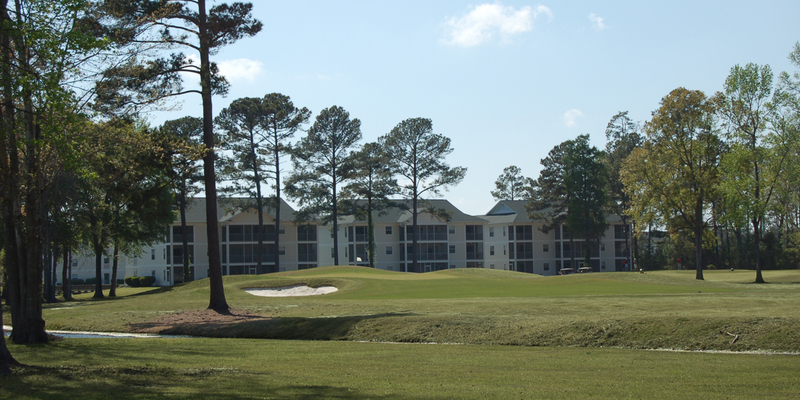 Cultivated by celebrated architect Rees Jones in 1974, Arcadian Shores has challenged and delighted Grand Strand Golfers for forty years. 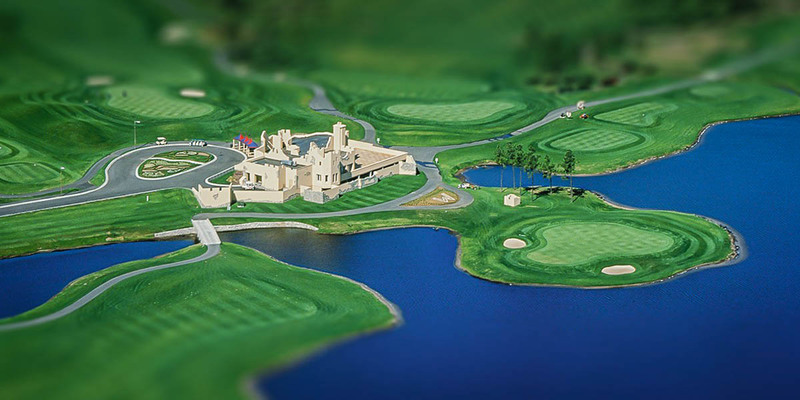 Over 60 uniquely-crafted sand bunkers and utilization of natural bodies of water ensure golfers will have to be creative when navigating the 18 holes of the course. 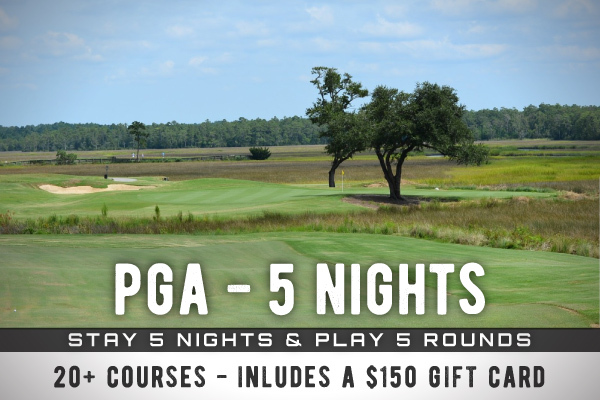 Just inland from the Myrtle Beach coast, Arcadian Shores truly has the feel of a low country golf experience, and with five tee boxes available, golfers of any skill level will feel right at home. 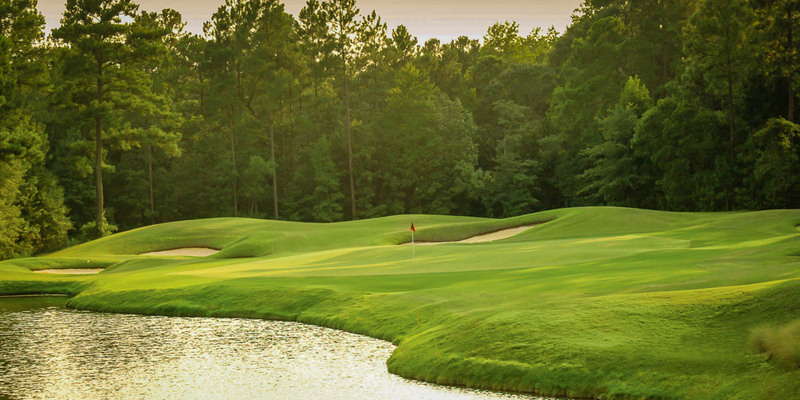 Architect Tom Doak relied on traditional old country design when creating the Heathland Course at Legends Golf and Resort. 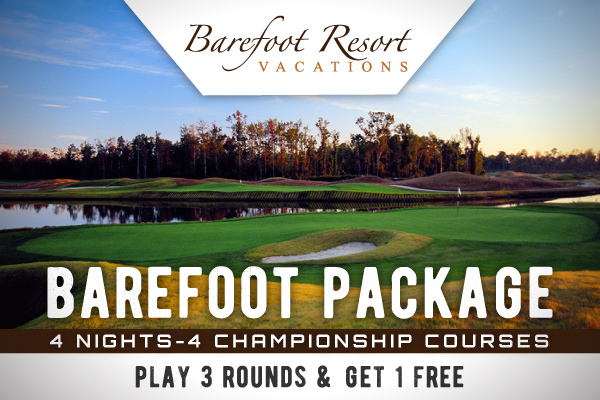 You won't find many trees among the 18 holes, and this ensures that you will have to adjust your play for unencumbered breezes that roll over the course. 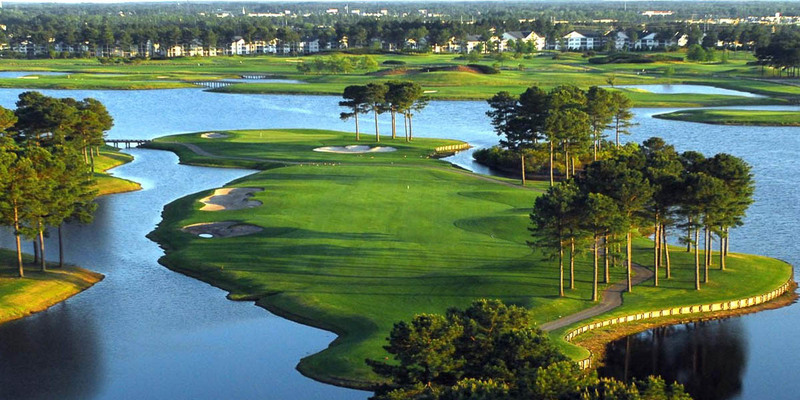 Many greens are protected by deep pot bunkers reminiscent of St. Andrews, and GOLF Magazine named the course one of the "Top 10 New Resort Courses in the World". P.B. 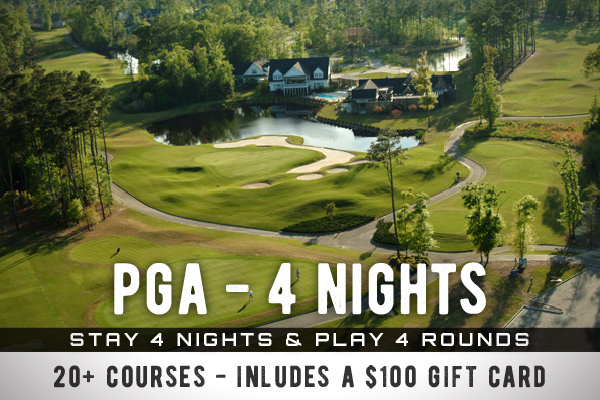 Dye courses are known for requiring focus and offering great risk/reward scenarios for golfers, and you'll find exactly that at the Moorland course at Legends. 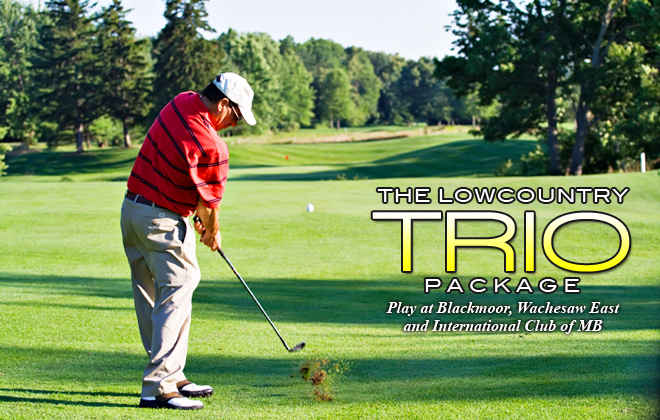 Multi-level fairways, deep bunkers and bulkheads ensure that careful shot placement is the key to achieving low scores. 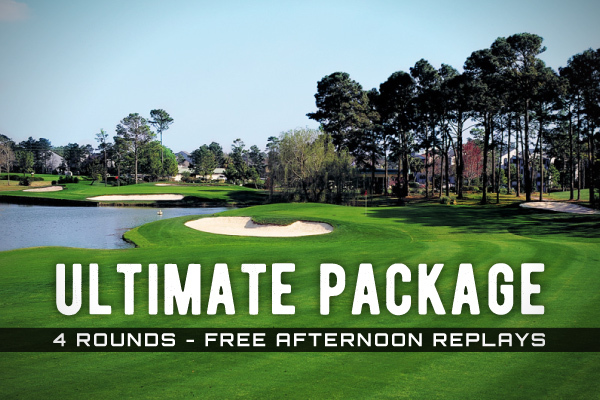 The par-4, 245 yard 16th hole in particular is one of the area's most notorious, with the giant bunker in front of the green affectionately known as "Hell's Half Acre". 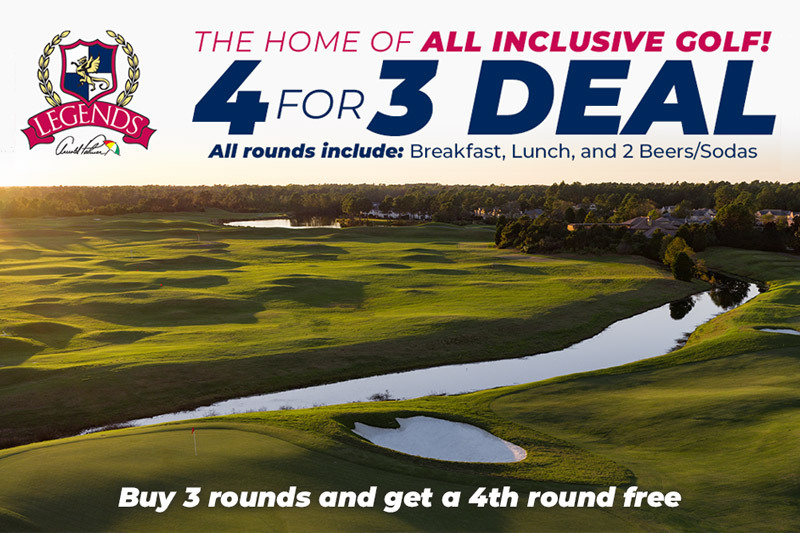 Despite some intimidating features, the course still offers plenty of availability, and it's evident why Golf Digest awarded this sterling course 4 stars. 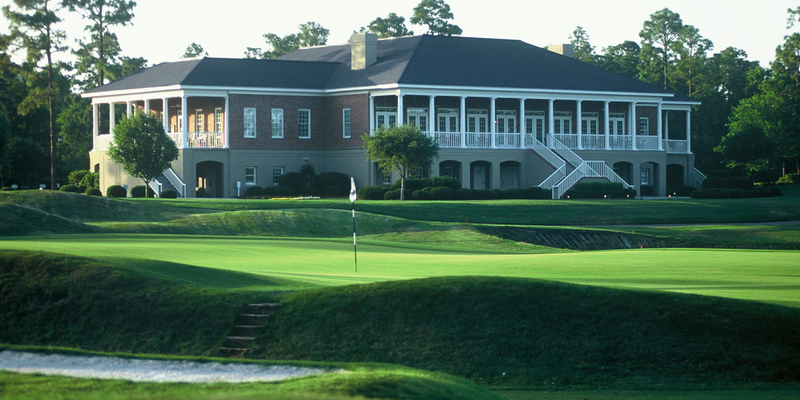 An Arnold Palmer course redesigned by the King himself in 1996, King's North is a splendid challenge and favorite course of locals and visitors alike. 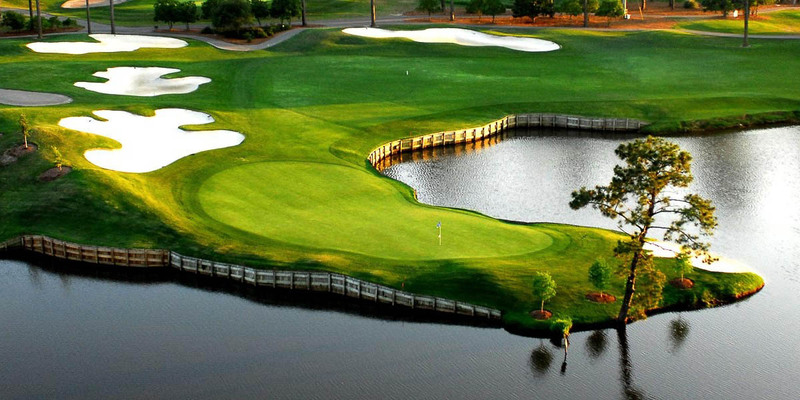 A remarkable four of the course's 18 holes are featured in the 100 Greatest Holes Along the Grand Strand rankings. 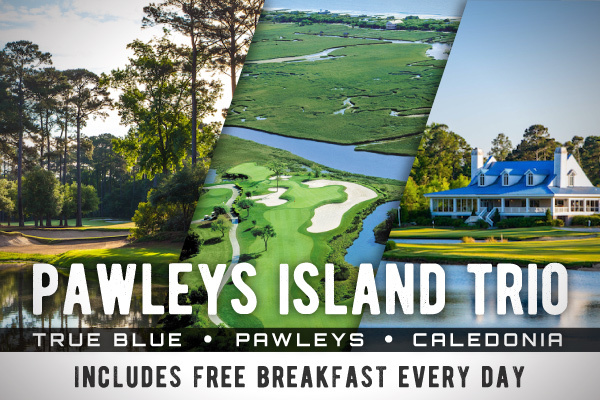 Perhaps none is as famous as "The Gambler", the par-5 6th hole that requires players to play it safe by laying up in a landlocked fairway or risking it all and heading for an island fairway in order to reach the green in two. 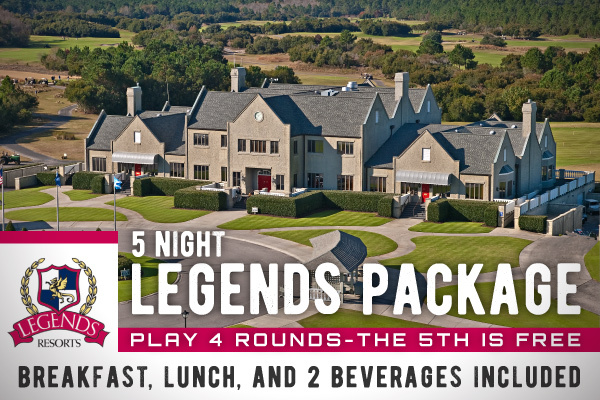 Several other surprises and fantastic unique touches await all players during a round at King's North. 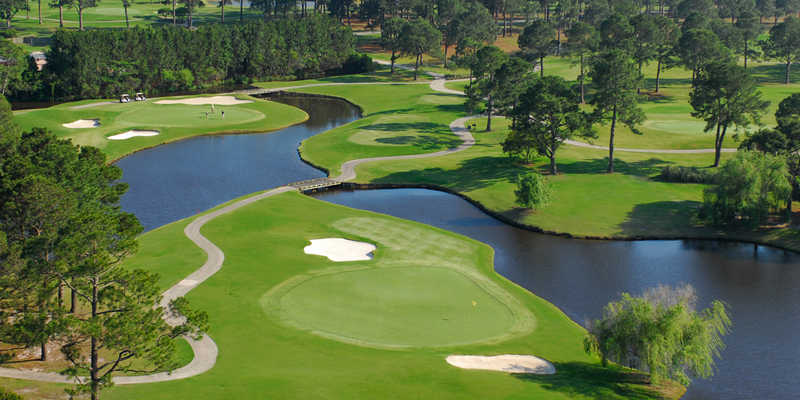 Measuring just 6,400 yards, South Creek at Myrtle Beach National may not be the longest, but if you plan on keeping your score low, careful planning and shot control is vital. 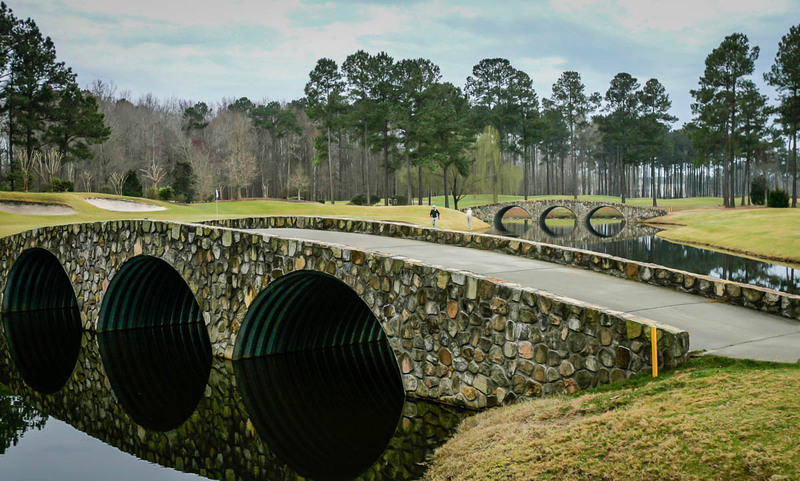 With many holes doglegging around obstacles like devious area lakes and waste bunkers, gripping and ripping is a tempting but dangerous strategy. 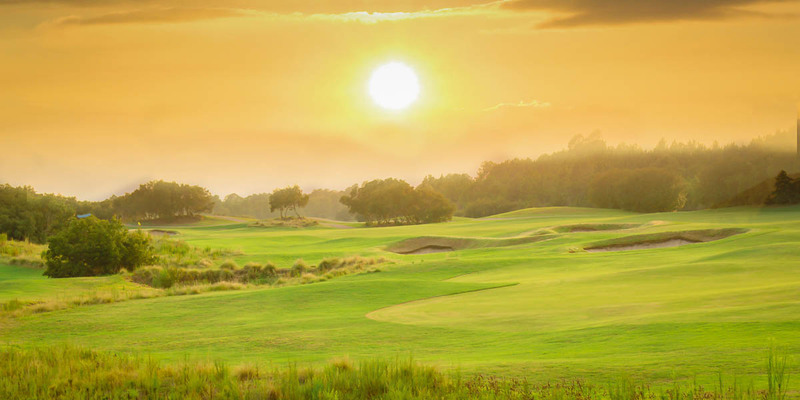 Once you navigate your way to the putting surface, South Creek's undulating Mini Verde greens will keep golfers honest but provide smooth rolls towards the cup. 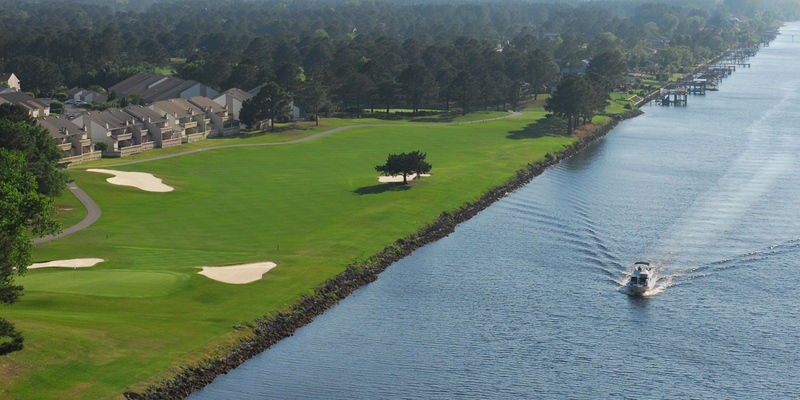 Location on the Intracoastal Waterway affords several of the holes of the Palmetto Course at Myrtlewood dazzling scenery that is both beautiful and treacherous. 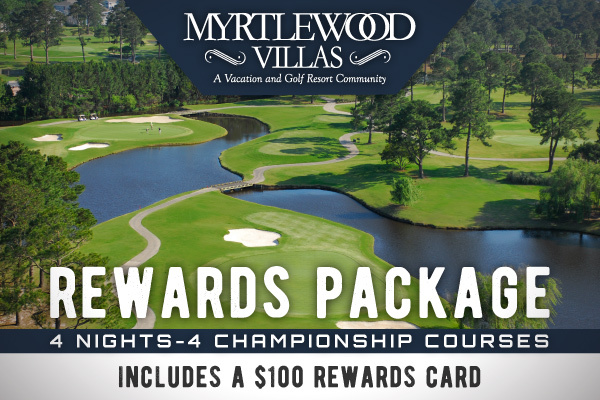 The Myrtlewood courses are right in the heart of it all in Myrtle Beach, yet their lush greenery and rolling fairways give them a secluded feel. 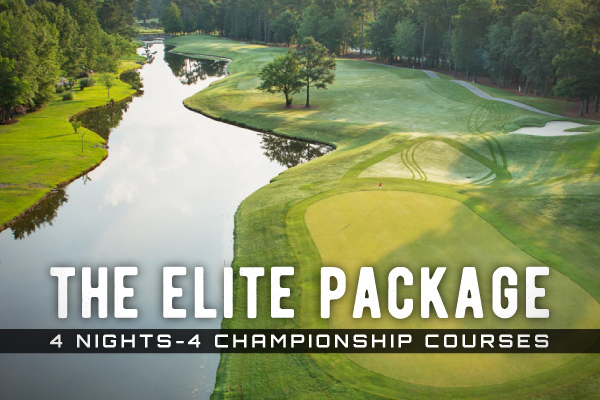 The par-3 17th requires a delicate shot over water and bunkers to the green and on the par-4 18th golfers must be wary of water up the entire left side, making for a fun and challenging finish to the course. 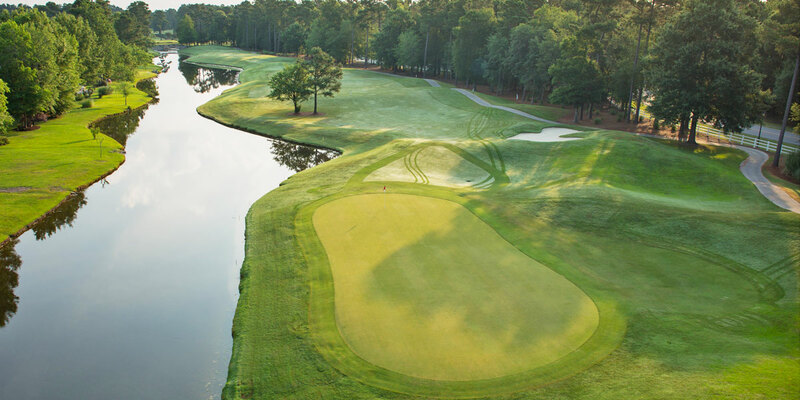 Course architect Arthur Hills sculpted the rolling landscape of the Myrtlewood PineHills course to offer contoured fairways and devilishly placed water hazards that will keep golfers of all skill levels honest. 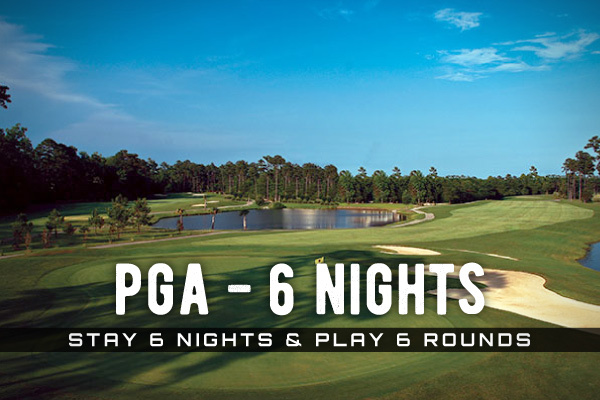 It's no wonder why Golf Digest named PineHills as one of the Top Ten Course Layouts in Myrtle Beach. 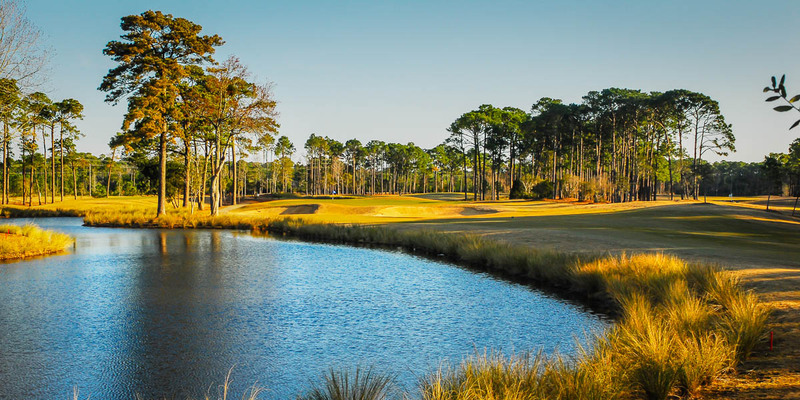 Featuring the same fantastic central Myrtle Beach locations as its sister course, Palmetto, PineHills provides a gorgeous and tranquil sanctuary from the busy stretches of the Grand Strand. 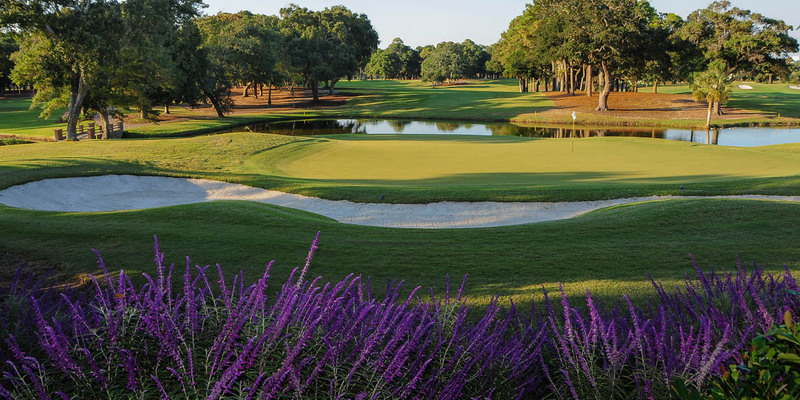 Renowned architects Gene Hamm and Tom Jackson created the 27-hole River Oaks Golf Plantation with the goal of combining challenges suitable for scratch golfers and playability for intermediate to beginner players. 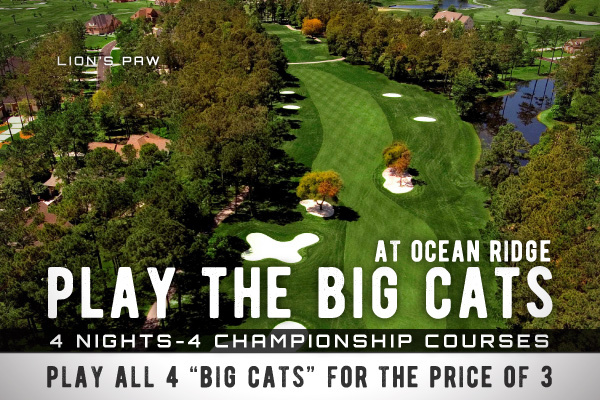 The three 9-hole courses are named after animals indigenous to the area Fox, Bear and Otter. 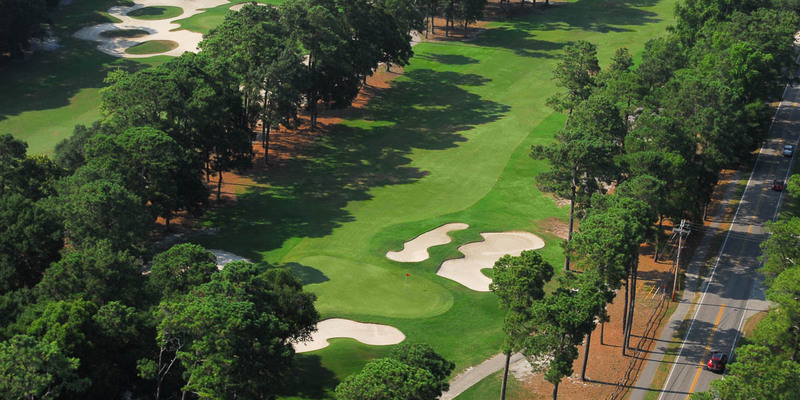 The Fox course cuts through large pine forests and requires golfers to navigate a number of bunkers, including a huge greenfront waste area on its par-3 3rd hole. 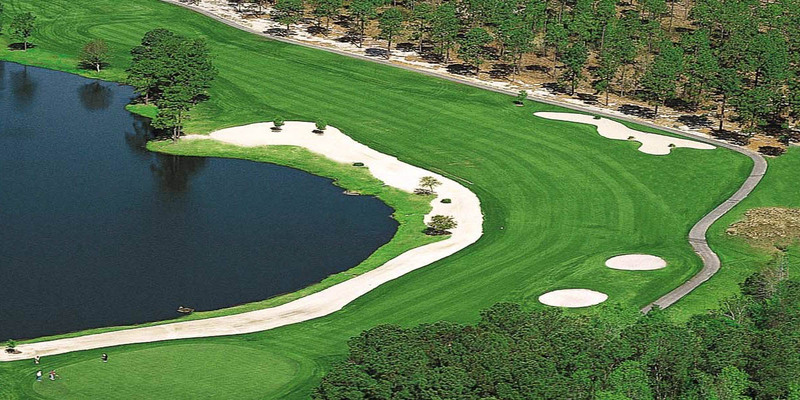 The Bear and Otter courses feature lots of water, with several of the Bear course holes situated around a large area lake. The earth was moved to form the dramatic elevation changes that are the calling card of The Wizard. 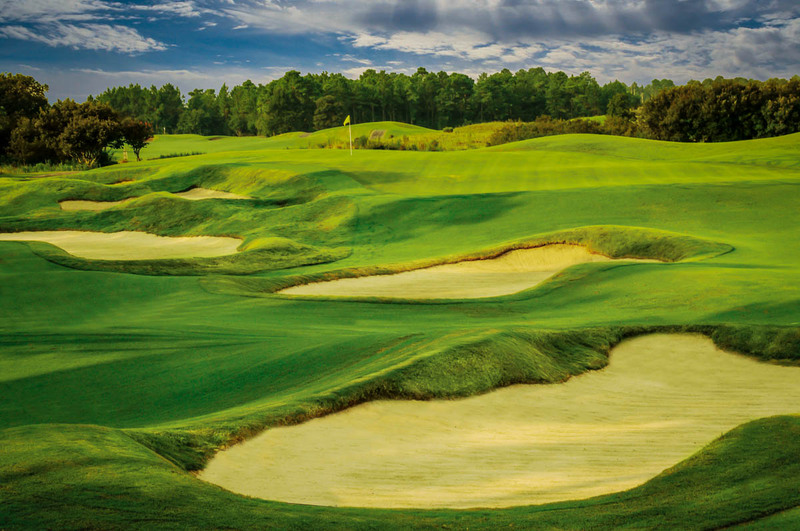 The ambitions design Dan Maple implemented required over 1,000,000 cubic yards of soil to be sculpted and moved, giving the course a rolling and tumultuous layout. 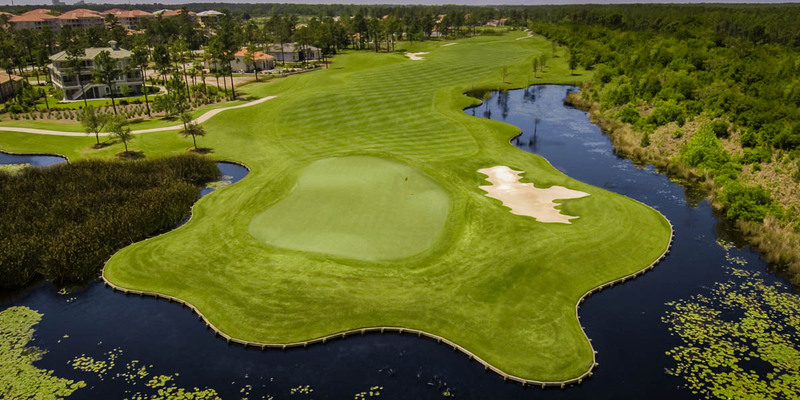 With open fairways, The Wizard is player-friendly, but don't relax too much as the final three holes are highlighted by devilish water hazards, with 17 and 18 incorporating island greens that demand focus and accuracy on your approach. 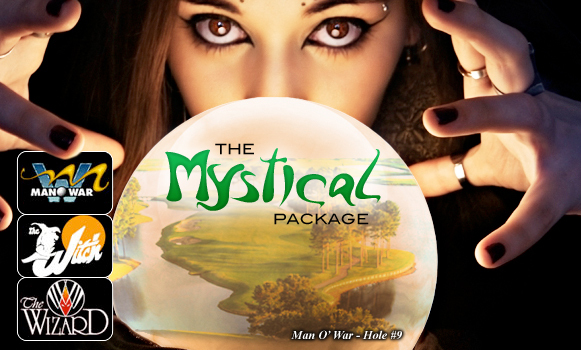 For a fun and fast-paced round of golf on your next Myrtle Beach journey, come be spellbound by the 18 holes of The Wizard. 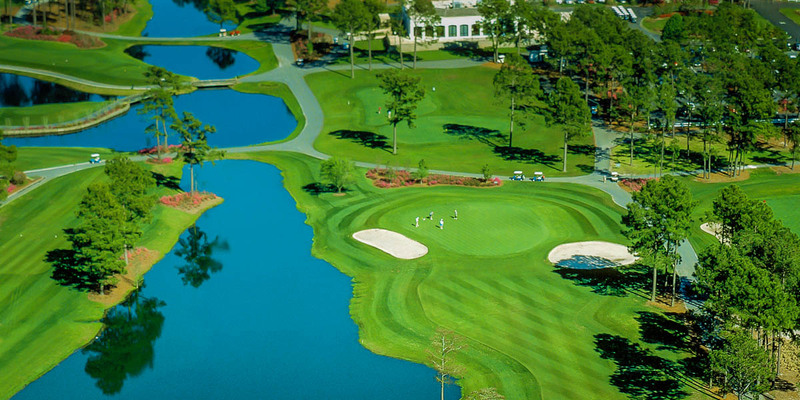 With 27 holes of pristine golf taking inspiration from the legendary courses around the world, the World Tour Golf Links allows golfers to challenge their game against some of the most famous holes in golf. 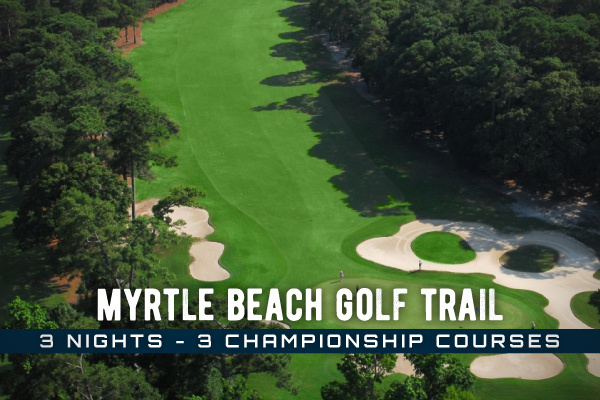 As you travel through the course, you'll enjoy design highly reminiscent of Augusta National, St. Andrews, Winged Foot, Royal Troon and Inverness. 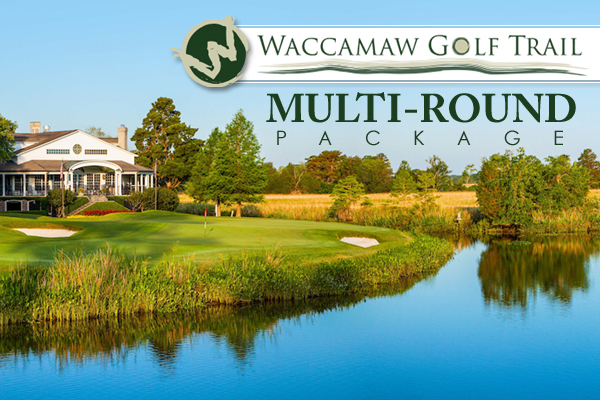 Beyond these pristine recreations, the course features professional quality greens and fairways and beautiful scenery like Magnolia trees, azaleas and more. 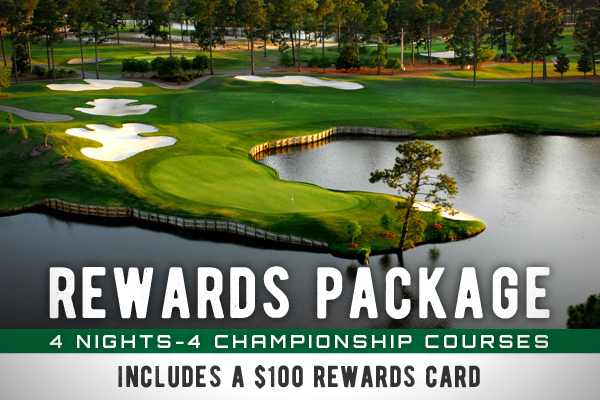 Experiencing this stellar homage to the world's finest golf is sure to be a memorable round for Grand Strand golfers.